OSLO (Reuters) - Nasdaq Inc on Wednesday made a rival bid for Oslo Bors VPS, setting up a takeover battle with Euronext for the 200-year-old Norwegian stock market operator. Nasdaq's bid of 152 Norwegian crowns per share, valuing Oslo Bors at 6.54 billion crowns ($771 million), topped Euronext's bid of 145 crowns per share. Nasdaq's bid plan has the unanimous backing of the Oslo exchange's board as well as 30 percent of shareholders. Euronext has said shareholders representing just over 50 percent of Oslo Bors' shares had committed to sell at its offer price of 145 Norwegian crowns and that those investors could not sell to anyone else. 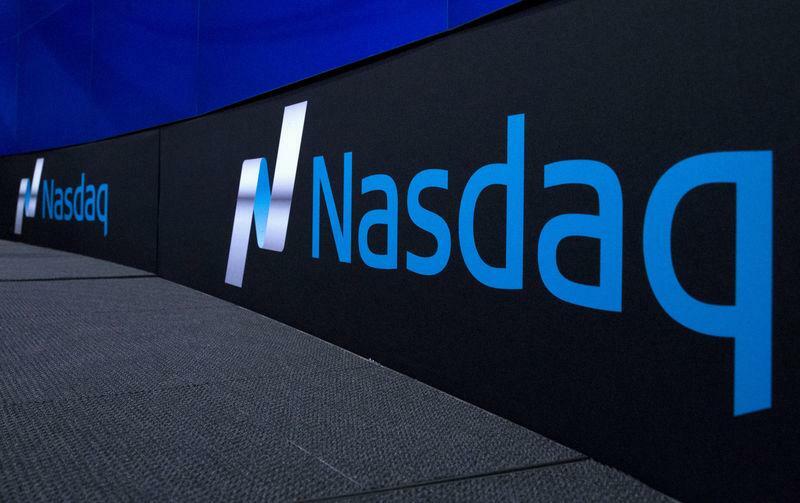 Nasdaq's offer is the latest sign of moves to consolidate among stock market groups. The London Stock Exchange also announced plans on Wednesday to buy a minority stake in Euroclear, Europe's biggest settlement house for securities, giving it a role in trading, clearing and settlement. Nasdaq, which already operates seven exchanges across the Nordic and Baltic countries, said it wanted to create a true Nordic capital market. "It is a long way from Paris to Oslo. Being near companies is important," Oslo Bors VPS CEO Bente Landsnes told a news conference. "We feel that being part of Nasdaq would make it easier to influence future developments." Any deal will need approval from Norway's finance ministry and its financial supervisory authority, Finanstilsynet (FSA). They have up to five months to make their views clear, Landsnes said. "Shareholders who committed to sell to Euronext ... would be able to sell to Nasdaq only if conditions to the offer, such as regulatory approvals and due diligence, are not met," a source close to the matter said. "There will be two applications for regulatory approval in parallel. That is messy. To seal the deal, they (Euronext) could up the offer and chase off Nasdaq," the source said. "Finanstilsynet will base its processing of the application concerning the acquisition of a significant portion of Oslo Bors' shares on current regulations and cannot make any further comment regarding this process at the present time," an FSA spokesman said. According to Norwegian legislation, approval can only be given if the buyer is considered to be suitable to ensure "the sound and prudent management" of Oslo Bors, said a finance ministry spokeswoman, declining to give specific comments about the Nasdaq or Euronext offers. A Euronext spokeswoman reiterated that Oslo Bors shareholders representing more than 45 percent of the shares had committed irrevocably to sell their shares to Euronext even if a higher bid was presented by another company. Euronext also owns a 5.3 percent stake in Oslo Bors it bought in December. Nasdaq said it could merge Oslo Bors with Nasdaq Commodities, the Nordic power market, based in Norway. "You can safely say that for Nasdaq, if the deal goes through, we would have a very strong centre of excellence for commodities in Oslo," Nasdaq Nordic President Lauri Rosendahl told Reuters. He did not give a specific timeline. For its part, Euronext has said it wants to use Oslo Bors as a launchpad for Nordic expansion and a centre for its commodities activities. Norwegian bank DNB, Oslo Bors' biggest shareholder with close to 20 percent, said it would sell to Nasdaq, as did pension provider KLP, which holds 10 percent and Sparebanken Vest with 1.6 percent stake. All three had previously suggested they would not accept Euronext's bid. "With the options that are now available, we believe that Nasdaq will offer the strategically best solution for the Norwegian capital market and for the Norwegian Central Securities Depository (VPS)," DNB said. Nasdaq will formally launch its offer on Feb. 4, and its application for regulatory approval would follow right after that, Rosendahl told Reuters, without specifying an exact date. Founded in 1819, the Oslo Bors until recently said it could best serve Norwegian investors and companies by remaining independent, but following Euronext's bid last month the exchange quickly looked for an alternative buyer. Nasdaq called on Euronext to withdraw its offer and told shareholders to let their promises to Euronext expire. "Two hints: Euronext can change their minds," Rosendahl told Reuters. "And the (shareholder) undertakings have an expiry date, in August this year, if they are not executed on."